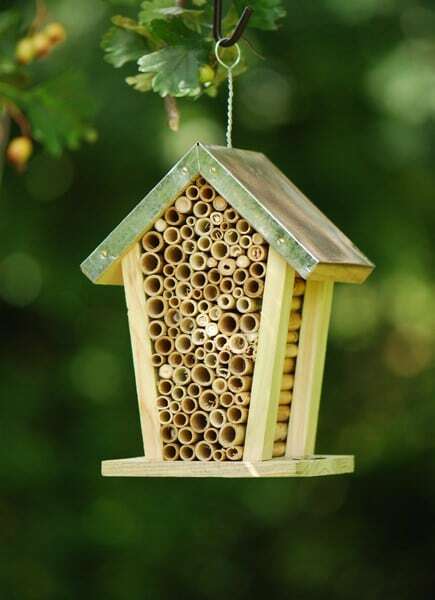 Encouraging Red Mason bees into the garden with a nesting box should help you get bumper crops of fruit and vegetables! This novel nesting box has a galvanised metal pitched roof and is packed with pieces of bamboo that provide the ideal nesting site. Made from FSC wood. 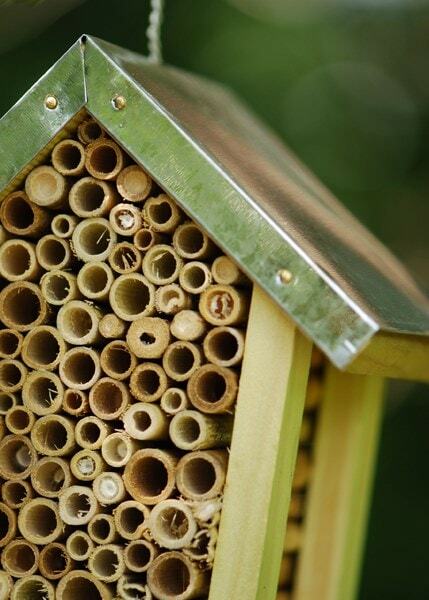 The 'solitary' bee species that use these nests won't swarm and the females will only sting if very roughly handled - the males cannot sting at all. Try to position your nesting box so that it gets lots of sun and angle it slightly so the water will not soak into the nesting holes every time it rains. 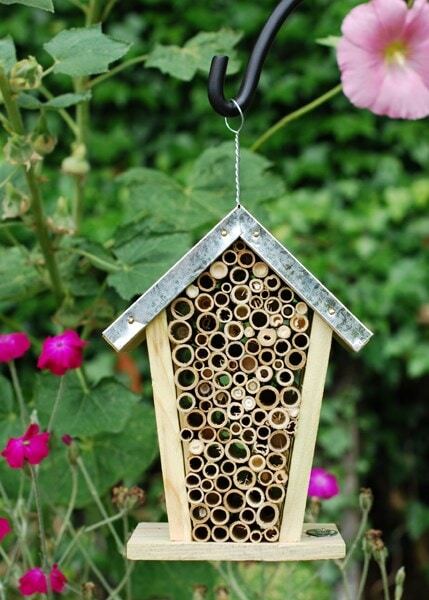 You can attach it to a tree, fence or post (it is shown with an optional shepherds hook, which is available separately) close to a flowerbed or anywhere you think a bee might like to forage.